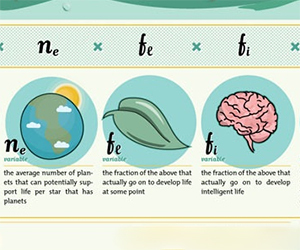 This infographic helps kids from ages 10 to 14 compute the odds of discovering intelligent life in the Milky Way by simplifying The Drake Equation. What Are the Odds You Actually Exist? 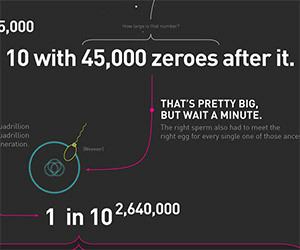 If one looks closely at the chances of a specific person's existence, the odds are essentially zero. Feeling lucky?